Thame Church is a parish church in Oxfordshire built mostly in the early 13th century. Surprisingly large and impressive for the modest size of its village, it has a number of interesting features, including a wall painting, tombs, monuments, gargoyles and carved corbels. Location map of Church of St Mary, Thame. Click image for a larger, interactive view. Aerial view of Church of St Mary, Thame. Click image for a larger, interactive view. Church of St Mary is listed on the National Heritage List for England with the following data. Some information may have become outdated since the date of listing. Text courtesy of Historic England. © Crown Copyright, reprinted under the Open Government License. 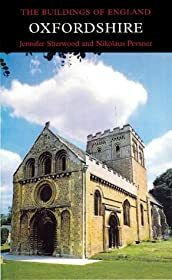 Pevsner, Sir Nikolaus and Jennifer Sherwood. Buildings of England: Oxfordshire. Yale University Press, 1996, pp. 806-07. Exterior view from south. Thame Church, Oxfordshire, England. Credit: Holly Hayes. Detail of the face of Mary from a damaged wall painting of the Pieta (c.1500) in the tower crossing. Thame Church, Oxfordshire, England. Credit: Holly Hayes. Nave looking east to the chancel. Thame Church, Oxfordshire, England. Credit: Holly Hayes. Exterior view of chancel and south transept from southeast. Thame Church, Oxfordshire, England. Credit: Holly Hayes. Exterior of the chancel from east. Thame Church, Oxfordshire, England. Credit: Holly Hayes. South side of the crossing tower. Thame Church, Oxfordshire, England. Credit: Holly Hayes.